Some of you might remember my charcoal bath bomb incident a few weeks back. If you didn’t catch any of it, allow me to fill you in real quick. It was one of my only days off and instead of resting up like my husband suggested, I decided to be extra and did more than I should have. I ran a bunch of errands, I came home and dusted, scrubbed, swept, mopped, did laundry, and even washed all of my brushes! I didn’t mind because I had a nice relaxing bath bomb with my name on it at the end of the day. The time finally came. My bath was set, I had a candle lit, I dropped the bath bomb and that’s when things quickly went downhill. I thought it looked odd, but I figured I had come this far. I got into the tub and when I lifted my arm the charcoal had stuck to me like a paste. I didn’t panic. I tried to relax. I wiped it off and when I realized it wasn’t budging then I started to panic. I just washed this tub! Not only that I just used all of the hot water to set my bath! This wasn’t good. I sat there for a moment trying to soak up the benefits of the CBD infused bath bomb. It wasn’t working. All I could think about was the mess in my tub and the mess all over my body! I started to laugh. I got up and started the cleaning process. It took me over an hour to scrub that tub clean again! Charcoal doesn’t budge! It took me even longer to get the charcoal off of my body. And that was with my husband’s help! 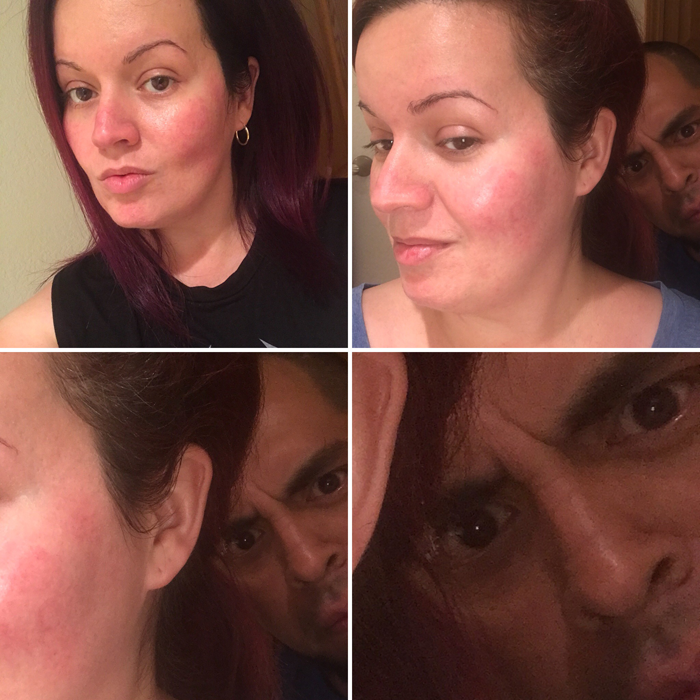 After I dried off I immediately posted my review. It was at that point that I noticed I had a message from the company who made the charcoal bath bomb. Turns out they were trying to warn me. I guess that particular bath bomb was pulled from shops because people either really loved it or really hated it. I felt horrible. They tried to warn me. But I had my phone charging while I was cleaning all day so I didn’t see it in time. They kindly offered to send me some of their other bath bombs to try out. I accepted because I’ll never turn down a bath bomb. Unless of course it’s made of charcoal. I’m kind of scarred for life now. 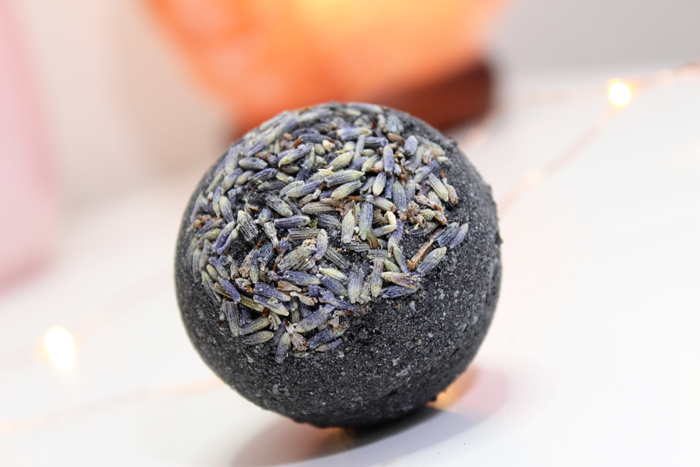 The Life Flower bath bombs are CBD infused. For those of you who don’t know, CBD is a cannabis compound. It’s legal in some (most?) states. It is NOT a drug. It doesn’t contain THC and is non-psychoactive. It offers many health benefits for those with certain health issues including anxiety. The thought of taking medication makes me more anxious so I have turned to a more natural approach. It’s what works for me and has helped tremendously. It has even helped me with pain management. After getting hurt at work I had gone to the emergency room and they prescribed me a high dose of Naproxen. I really didn’t want to take it, but the pain was unbearable at times. In the end it caused more harm than good. CBD products helped me and fast. Before I knew it I was feeling like myself again. Without the use of medicine and their horrible side effects. CBD comes in many forms. There are oils, edibles, creams/lotions, and bath bombs! There’s even a CBD infused mascara out there! I was hoping to receive that in my Play! by Sephora bag last month, but Sephora plays too much. Anyway, back to the bath bombs. 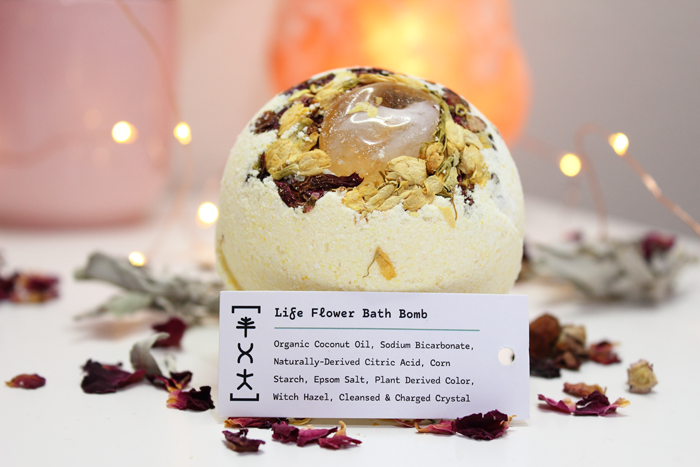 Life Flower sent me two of their gorgeous bath bombs. 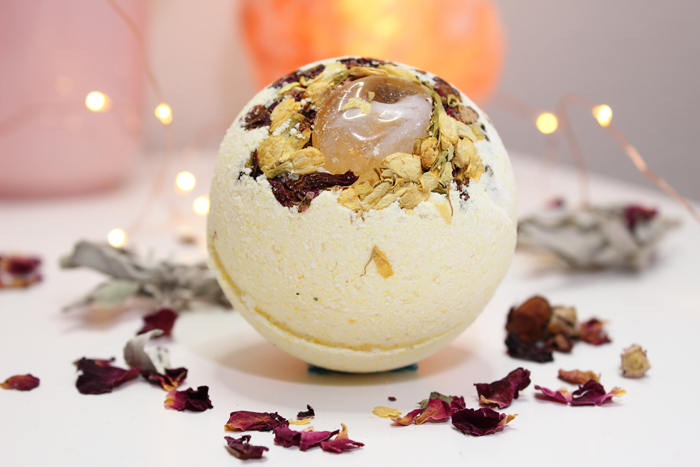 The Limonene Bath Bomb was created to uplift and stimulate the senses and soul. Named after the powerful terpene that is present in the cannabis plant, known for its strong citrusy scent. Handcrafted with lemon, tea tree and lemongrass essential oils. Topped with rose petals and jasmine buds. Includes a citrine point. 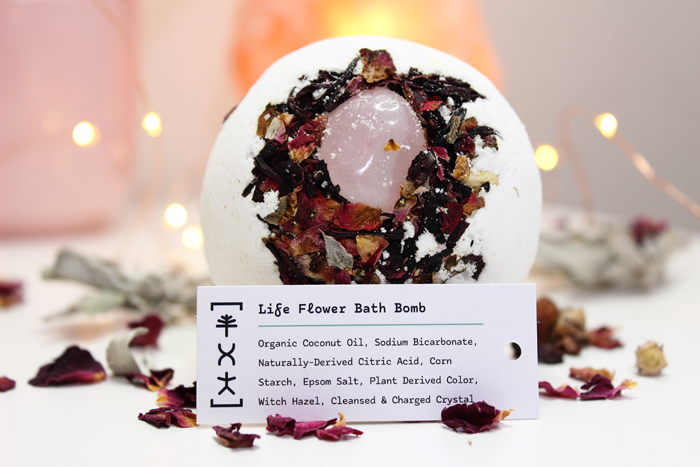 This bomb is perfect for heightening the vibration while relieving you of any stresses this journey in life may bring you. 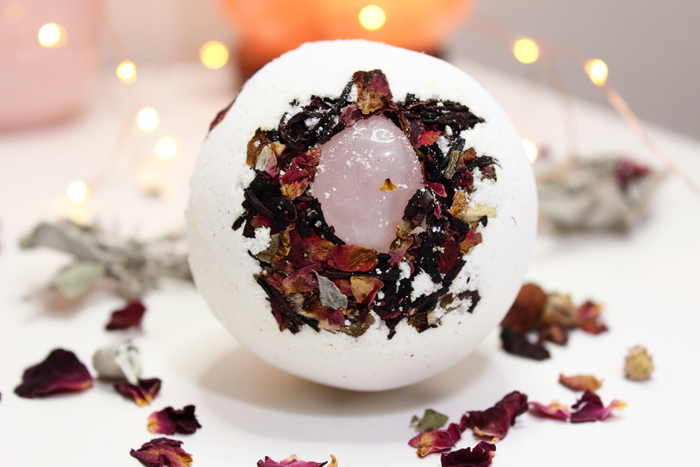 The Aphrodite Bath Bomb is handcrafted with all-natural aphrodisiac essential oils, making it the perfect couple or self love treat. Made with organic lab-tested plant extract to ensure optimal pain relief and relaxation. Includes a cleansed, charged rose quartz stone to enhance positive and pure energies of deep love. Topped with rose buds and hibiscus petals. Last night I tried the Limonene Bath Bomb. You can see a video on my Instagram Stories. It smelled like a delicious lemon cake! I could have just really wanted a piece of cake, but that’s what it reminded me of. The scent was so uplifting. The bath bomb itself was in fact relaxing. Afterward my skin was so soft and felt moisturized that I didn’t even need to apply lotion. The following morning I could still smell it. 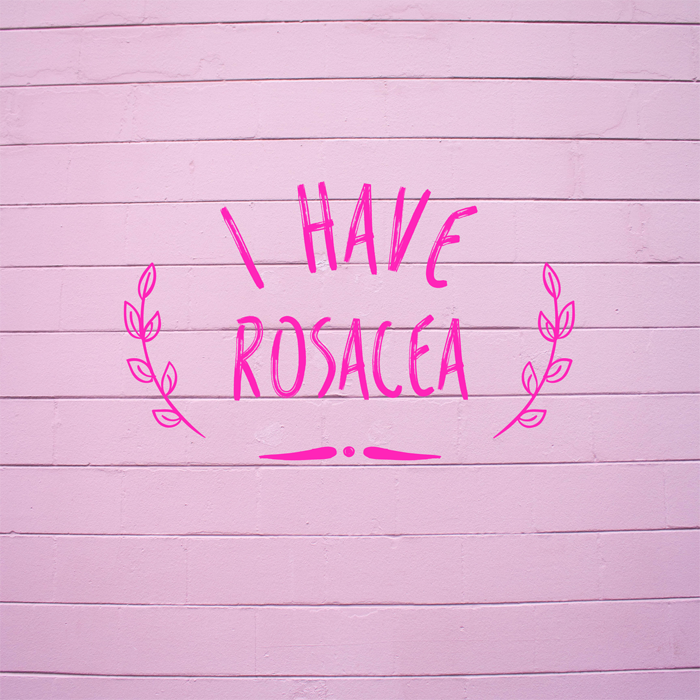 And my skin is as soft as ever! The flower petals were a much easier clean up and the stone will make for a beautiful necklace or bracelet. I was much happier with this bath bomb. The only thing I will mention is to be careful when getting in and out of your tub. The coconut oil can be a tad slippery. But that’s the same with any bath products. Overall, I’d give the Limonene Bath Bomb a solid 10/10. 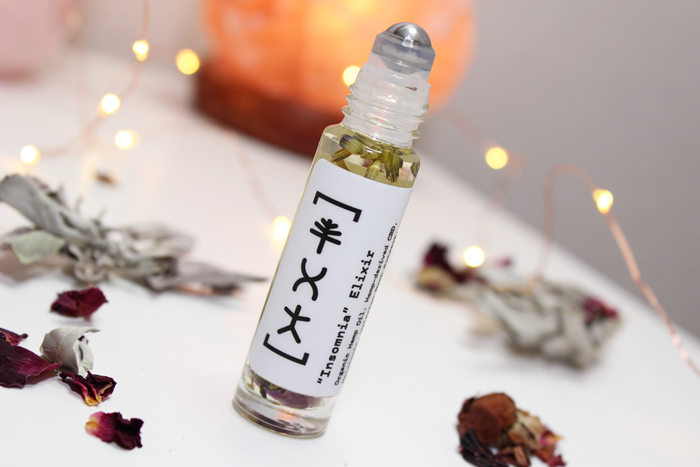 Life Flower also included one of their Elixirs in their care package. The Insomnia Elixir sounds interesting. I’ll have to try it out before sharing my thoughts. I might have to purchase the Headache and Anxiety Elixirs because those sound like something I could use too. *Note: While the CBD products mentioned here DO NOT contain THC nor do the other CBD infused products I’ve tried, some CBD infused products DO contain THC. However, it has to be clearly labeled. And you certainly won’t be able to walk into the mall and purchase one of those. Always read labels and do your own research before trying new things.